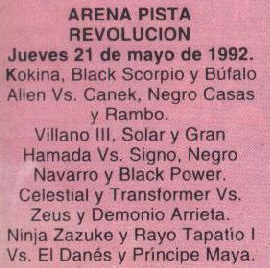 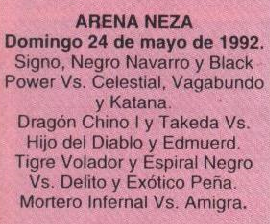 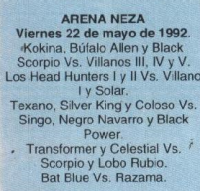 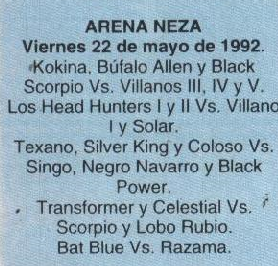 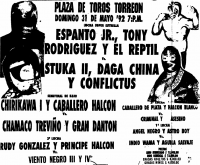 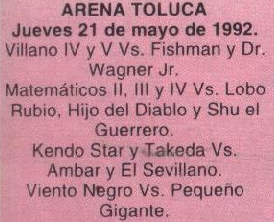 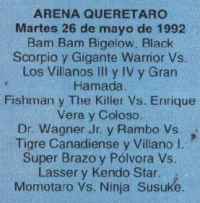 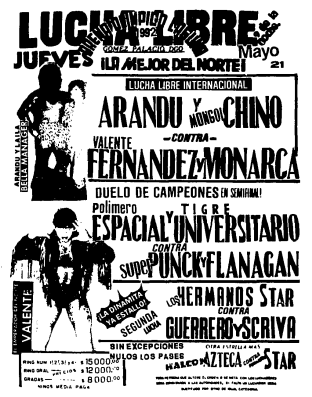 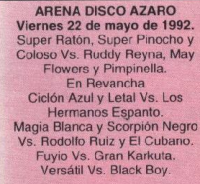 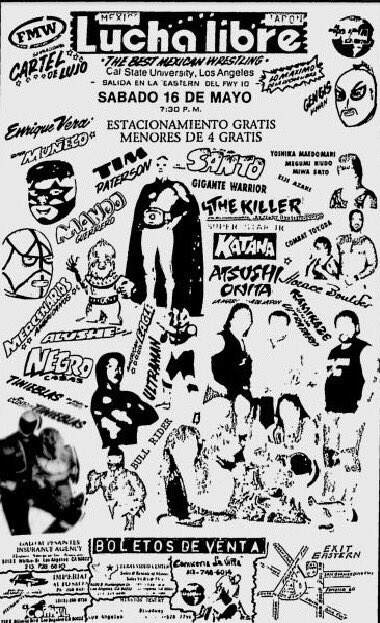 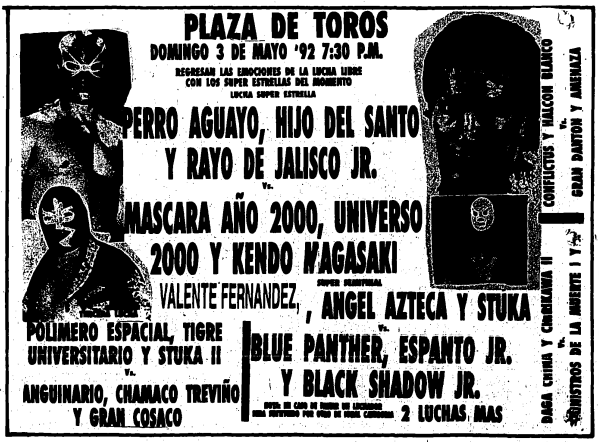 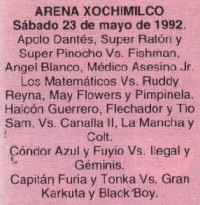 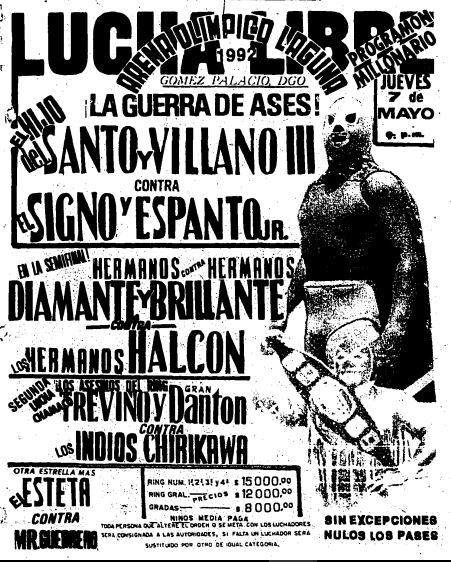 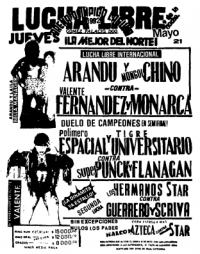 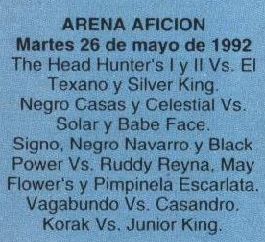 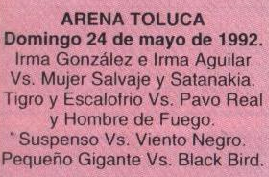 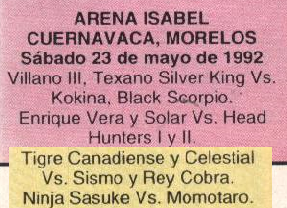 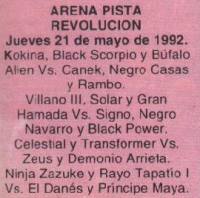 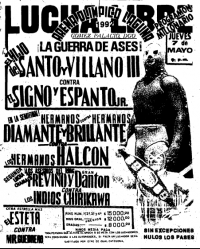 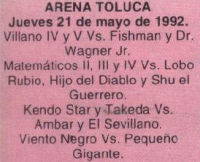 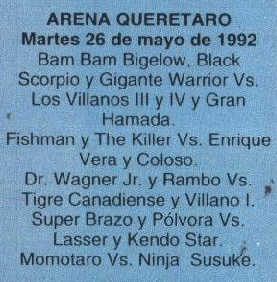 4) Ángel Azteca, Stuka, Valente Fernandez vs Black Shadow Jr., Blue Panther, Espanto Jr.
5) Kendo Nagasaki, Máscara Año 2000, Universo 2000 vs El Hijo Del Santo, Perro Aguayo, Rayo de Jalisco Jr.
3) Gran Hamada, Tigre Canadiense, Transformer vs El Engendro, Scorpió Jr., Scorpió Sr. 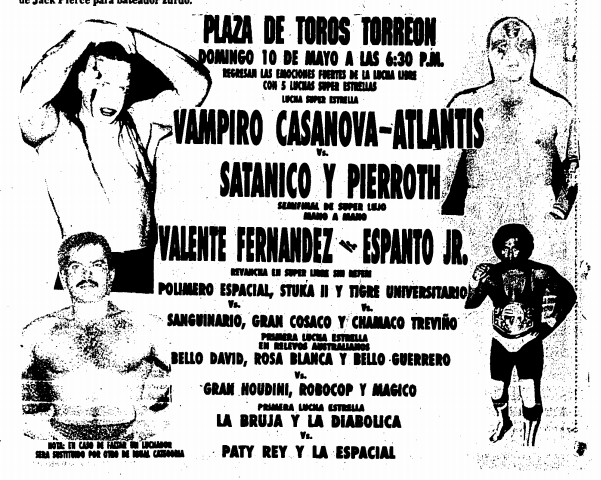 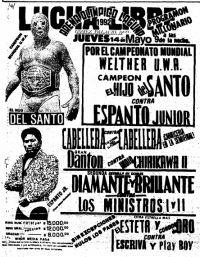 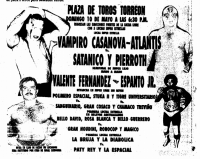 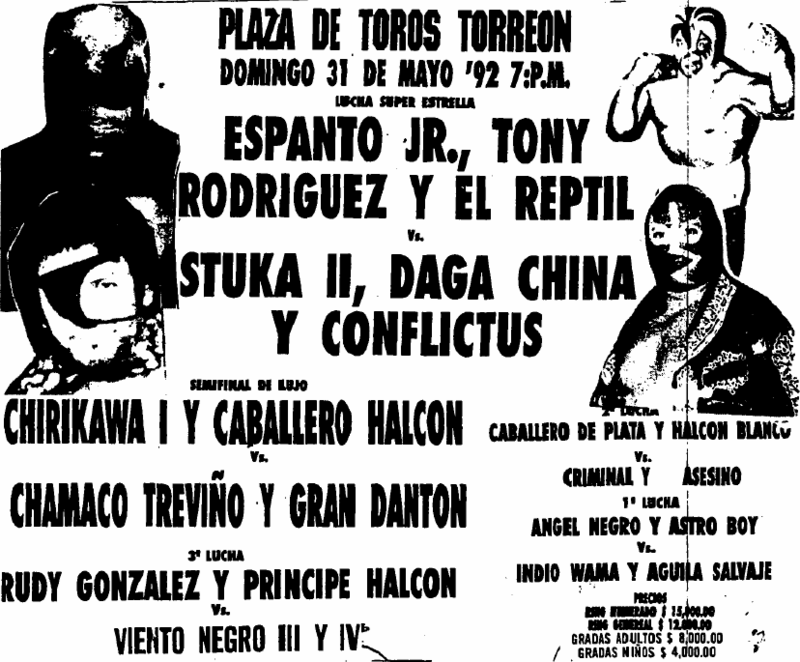 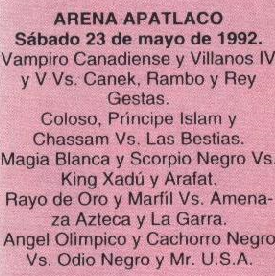 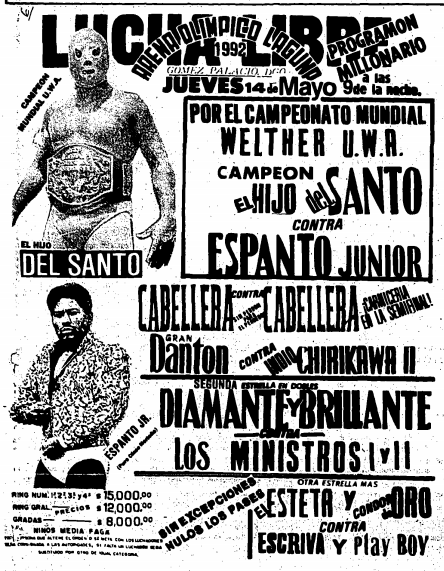 Originally Konnan, Vampiro Casanova vs Cien Caras, Pierroth. 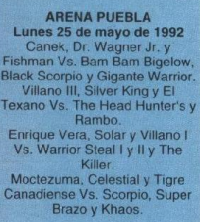 Konnan and Cien might have pulled out because they were headed to AAA. 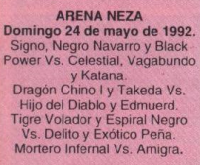 Event Notes: Satanico was hyped for the card even before he ended up being subbed on it, so something strange was happening. 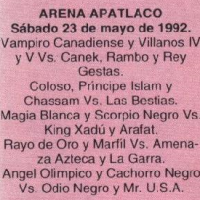 Fanatsma's last match here - he was headed to AAA. 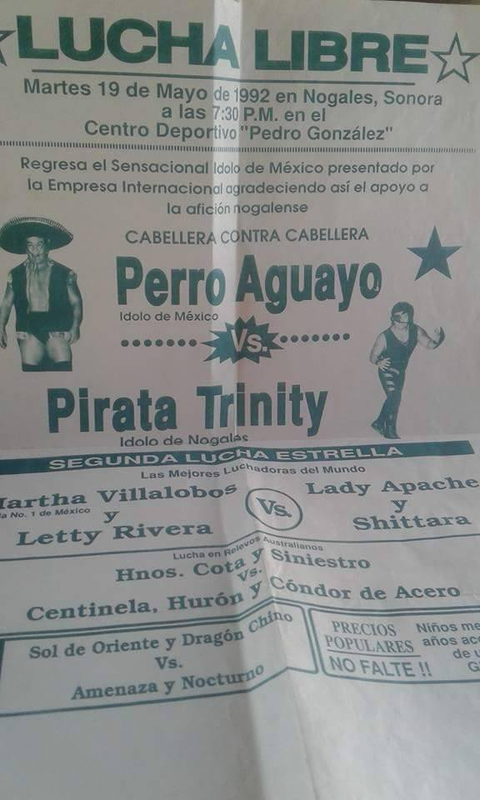 Andre's latest return to Mexico. 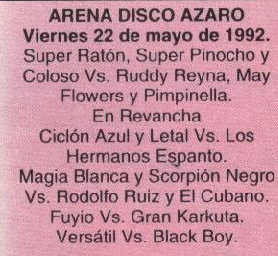 Black Scorpion's debut. 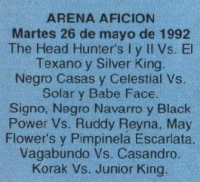 Kokina fouled Canek, faked his own foul, drew the DQ. 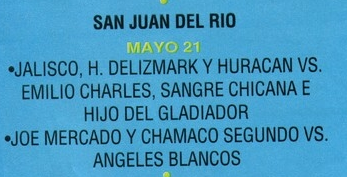 Principe Isla, maybe? 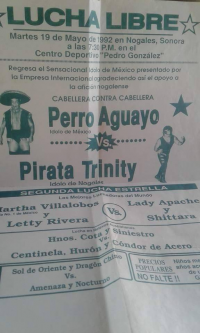 He wouldn't be hear at this point. 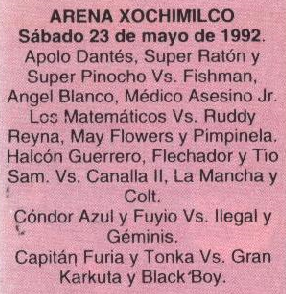 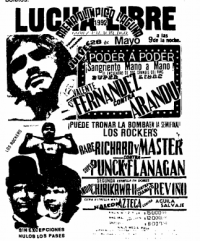 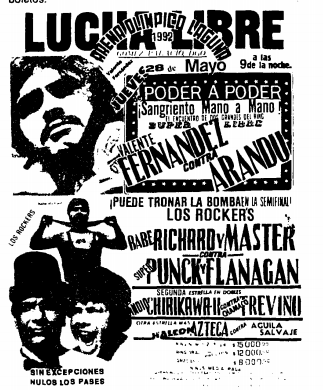 5) Apolo Dantés, Súper Pinocho, Súper Ratón vs Ángel Blanco, Fishman, Medico Asesino Jr.
2) ? 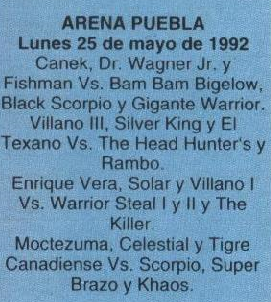 & Moctezuma vs Scorpió Jr. & Scorpió Sr.
4) Chamaco Rebelde & Estampa Brava NC Remington & Rey Misterio Jr.
5) Mil Máscaras & Sicodelico DQ Canek & Chicano Power Jr.